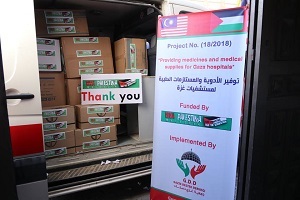 Project Description: Prevision medicine and medical supplies for Gaza Strip’s hospital to provide the needy treatment to injures who injured in current actions in Gaza Strip. 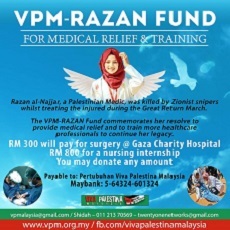 Funded By: Viva Palestina Malaysia. 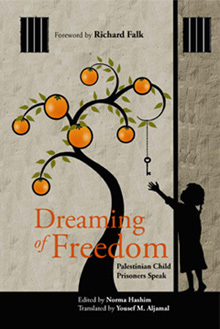 Implemented By: Gazze Destek association - GDD. 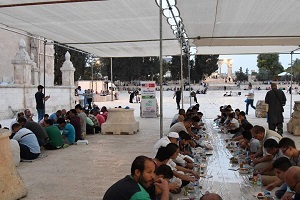 Bless our donors who contributed towards the Iftar meals at Al-Aqsa mosque. 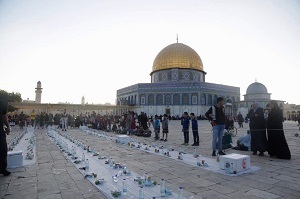 We managed to fund Iftar meals for 2 nights and this one was the last one held on 26th night of Ramadan 2018. 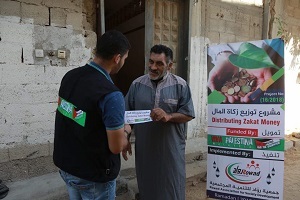 Alhamdulillah the generosity of our donors enabled us to distribute USD109,000 in cash and food aid this Ramadan to over 2,500 families in Gaza and the West Bank. 1. 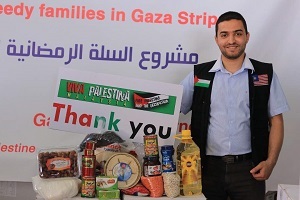 Ramadan Food Baskets for 1830 families in the Gaza Strip and 250 families in the West Bank (USD 73,500). 2. 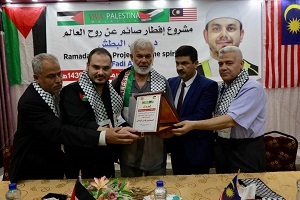 Zakat Al Fiter to 240 poor families in Gaza (USD 12,000). 4. 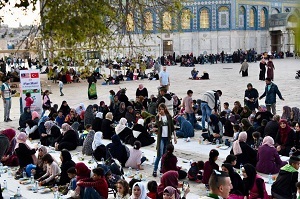 500 hot meals for Iftar (USD 5000). 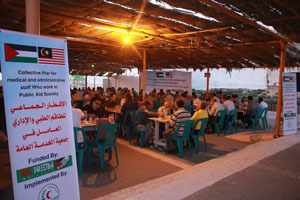 5 Iftar in memory of Dr. Fadi for his family, friends and poor families (USD 2500). 6. 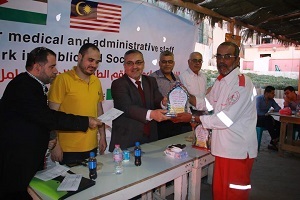 Collective Iftar in appreciation of medical staff for Great Return March (USD2000). 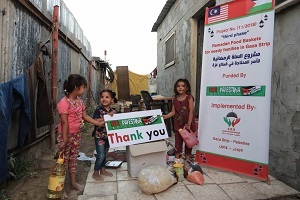 Our Ramadhan Food Baskets this year managed to provide food aid to some1,830 deserving Palestine families in the Gaza Strip: First phase in Rafah, second phase in North of Gaza and third phase in the Middle of Gaza. 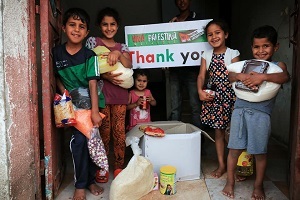 250 families in the West Bank have also received food aid through this campaign: total families received the Food Baskets 2,080 families. 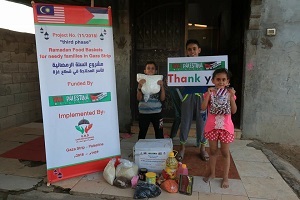 All food baskets were deliveries were concluded just on time for Eid. 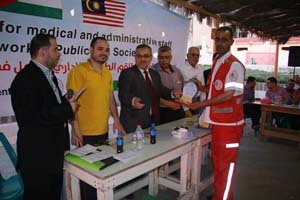 On top of that, we managed to give away some Zakat money to 240 families (US$50 per family). 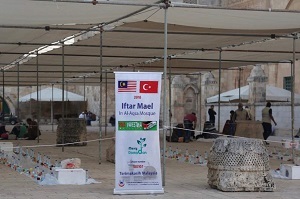 We managed to sponsor iftar for 2,000 worshippers in Masjid AlAqsa, Jerusalem, Palestine. 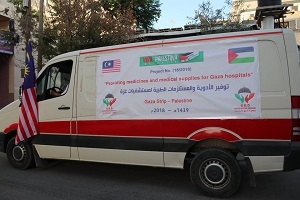 Thank you ALL DONORS for your support and making this campaign a success. 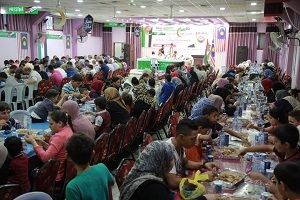 Insya'Allah, you have helped to lessen the burdens of these families during Ramadhan month. 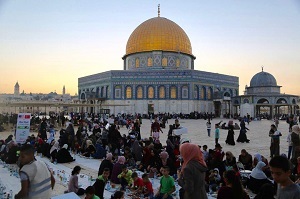 Eid Mubarak everyone from us at Viva Palestina Malaysia.